Wow, I'm impressed at how much thought you put into this. 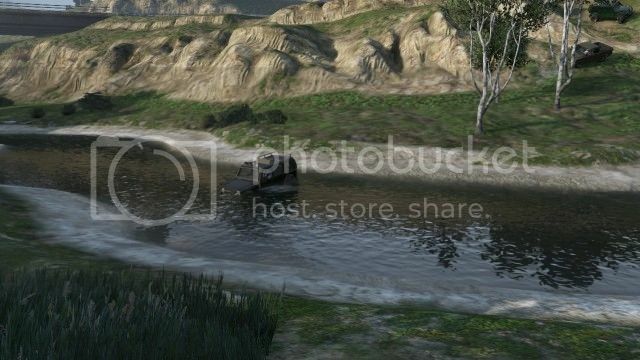 The "mini-route" such as going from the swamps of Zancudo to around the Alamo Sea is genius! Like bite-size events, I would love to join these as well. My 4-wheel Dubsta was pretty good, yes, but I also had the very sh*tty Duneloader. The best piece of advice that you can give to people is as you said; think of the vehicle you'll bring. Honestly I would focus on ONE vehicle and know it's strengths and weaknesses. The 4-wheel Dubsta can climb a lot of stuff but doesn't have ground clearance while the Sandking does but is a bit heavier, requiring more speed in some cases. The 2 week mega-event sounds like a great challenge to celebrate something. 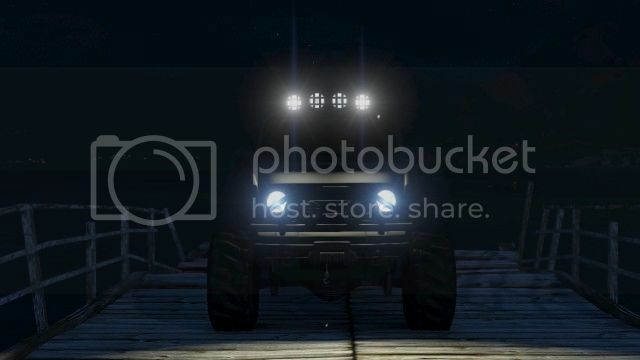 Maybe hold these mini-events as "tests" and see who likes to offroad and would be most suitable to join a 3 hour journey. Maybe add some sort of prize or special mention to those that do the whole 3-hour route (or however long it may take to get all around the map). I'll be keeping a close eye on this thread as I would love a chill meet again. ARE YOU ALL READY ??? 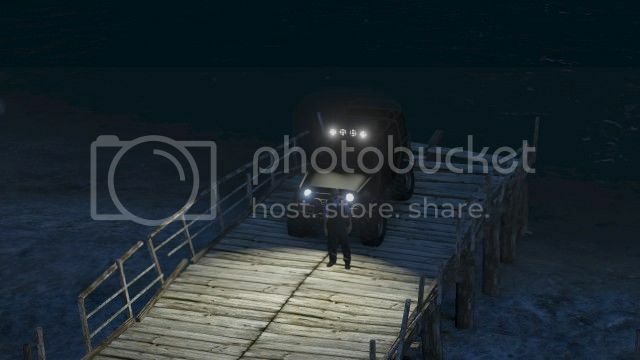 the meet will start at the gas station on route 68 before the bridge over lago Zancudo. 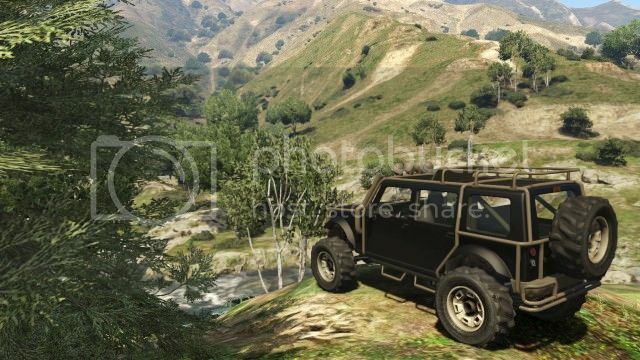 the challenge will be to off road up the zancudo river, around the Alamo sea and back down the river on the other side finishing at the sea. the river jump photo shoot. various photo shoots around the Alamo sea. 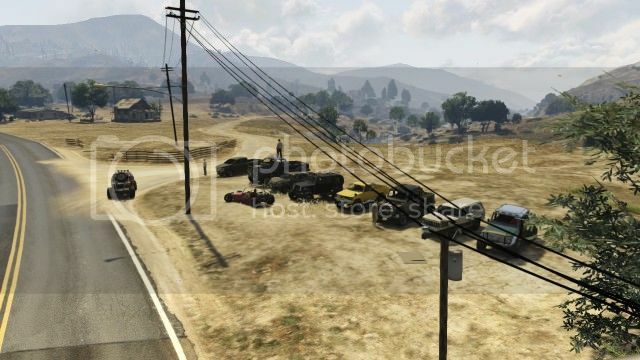 no shooting each other no destroying cars ( the terrain is gonna cost you enough on insurance) we can have a deathmatch when we finish. give each other space, we will plan our route over terrain. if a player loses a car give them a lift, we can call a mechanic for them at the next road. if you get a wanted level call lester or take the police away from the rest of the group. Pumped for this! See you guys tonight! need people to take photos and a live feed on twitch or you tube would be good >??? can you guess what im bringing tonight ???? If I'm still a wake I'll message ya just before the event, I'm in the UK so it's guna hurt but looking forward to it sounds gd! Hey i am in !!! What time is it? On central us? CST (Central Standard Time) would be 9PM. CST is always an hour behind EST. Good rules, laughed at the "how the f*ck did he make it up". Definitely interested! If you don't mind I've messaged players that are real cool and that I know - will tell them to check this thread out to sign up. Raptor (posted below) is my one of my mates, real cool dude. anyone not had an invite ??? Awsome meet guy sorry if it was a bit slow and chaotic at times . Hope you enjoyed some of the terrain and jumps. Will try work at a system for the tough hill bits so people at the back get a fair shot and number of attempts at things. Gonna have to put the next one at a earlier start as well as a 7am uk finish is a bit late lol .... 24 hrs without sleep ain't good. Good to see a wide selection of trucks ( and a jester) attempt things. And a big thanks to the guys in the helicopters I'm sure they got some ace shots. Any feedback would be good, but please consider that this is the first event I've run. There's so much to cover that I have no clue where to start off. 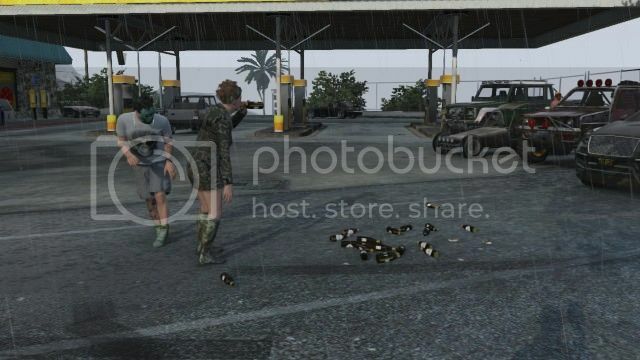 I think the best way would be to take it from the beginning - the waiting at the gas station near Fort Zancudo wasn't boring at all and didn't seem long despite staying there for a good 20 minutes, waiting on players who were in the city. Small talk before the actual meet was done so it was real nice, getting to know others and stuff. We then drove off straight into the swamp area behind us and the host found some sweet maneuvers and paths for us to follow. 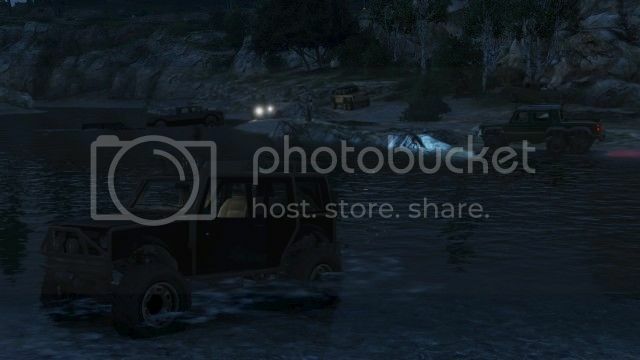 The swamp phase was short as we then got on the side of the river going up to Sandy Shores. Everyone kept a good distance from one another and there were few accidents. The most notable accidents were made by the guy in the orange Sandking, CoolerAbyss7366, who would later not follow directions to the point of kicking him or he left on his own will. Talking with him about his driving abilities/skills would be the best way to handle the issue for future meets. The river that we were currently on at that point was infuriating as progress was slow. It was slow because people who could clearly not make it up a hill kept trying, stubbornly believing they could find a way. Most of those stubborn players didn't really wait for their turn, gunning the gas and ramming others who were trying as well. A system should be created where everyone gets two tries (seems like a good number). If you can't get it in two tries, no matter if you're close or not, you should be asked to move on to an easier path and let others try. Due to the slow progress I skipped a lot of the obstacles along that first river as I was stuck at the back for 10 minutes and not moving an inch. The jumping sections, as fun as they may be, were boring for players like me who didn't want to screw up their truck and wanted a real challenge. I didn't do any of the first jumps, only the one where you splashed in the water. I think only one spot with a jump should be included in future meets to keep it short and a memorable moment as I don't really care to remember any of the jumping sections that we did. Shooting down a player in a helicopter just out of pure boredom will not be tolerated (if I may speak for steve dogg 51, host of the meet). I asked him why he shot the player, using a sniper rifle (I saw him do it), and he replied with, "freak luck". There was no reason whatsoever to shoot him. The player you shot down was in no way a threat to you and was in a helicopter for the most part of the meet. I don't want to "hijack" steve's thread but if I join one of steve's meet again and you shoot a player while I'm there you will be blacklisted (at least from my own list), no matter what the reason for killing another player may be (revenge or boredom such as this case). You are welcomed back but please don't kill another player unless accidental or in a playful manner (depending on scenarios), please. Other than a very few problematic players (two) and having slow progress on some parts, the rest of the meet was wonderful. The trails were challenging to the point where I had to step down and accept defeat. I met some cool people and had an amazing time. I would recommend and join one of your meets again. The concept is really smart and the execution was well done but I believe next time will be better. Congrats on an amazing meet, steve, get yourself some sleep now! My truck of choice (right), the Canis Seminole. Horrible for most parts but probably has the best brakes in the game, seriously. Thinking Tom shown below, thinking hard. "Hmm, I wonder if my wife will be okay all alone at home. Good thing she called my best-friend to keep her company!" Players were asked for the "Best Looking Offroader" - which Ferrari's 6x6 won. Congrats! They were then asked to pick the vehicle that would be the "Most Likely To Make It" - which timoshenko77 won. Congrats! Lastly and contrasting the previous category, they were asked to pick the one that would be the "Least Likely To Make It" - host steve dogg 51's Huntley S won. Congrats? Our first challenge and this stock Mesa (silver one pictured below) was impressive! Believe it or not, they're not taking pictures of those trying to climb a nearby hill - they're taking pictures of a man taking a bath in the river. Creeps! "Goddamnit, my wife is having an affair with my best-friend!" Another shot of my ride for the first half. I had around 5 different vehicles picked out for this meet. Hey, Lawd, they'll know how you got those pictures from up there! "Damnit, Harold, this is the 3rd patrol car you've gotten the seats wet!" My 3rd ride for the...damnit! A cool thing we did was racing where 3 trucks drove as fast as they could up a mountain to reach the host first. It was creative and tons of fun! "Group picture! No one? Guys? Okay..."
"sh*t, man, I don't know what happened. One moment I'm sitting on my chair outside doing a report on GirlsGoneWild and next thing I know I feel this intense heat. I'm thinking, 'holy sh*t, I came early again', but nope; just a damn helicopter that fell from the sky next to my feet." Can you see the next challenge? BEST TECHNICAL DRIVER - x Ferrari F1 x who was driving backwards for a good half of the meet. 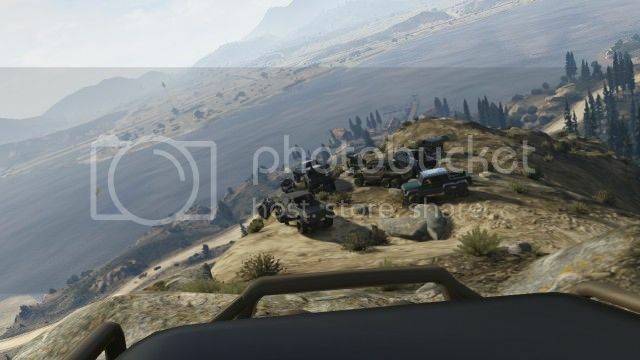 HOW THE f*ck DID YOU MAKE IT UP - steve dogg 51 for climbing stuff that Sandkings could climb with some difficulty while using a Huntley S. Special mention to TCooper03 for walking up a cliff. BEST PERFORMING OFFROADER - TCooper03. "Hey, want me to spank your monkey? "Come on, baby, you know you want some of this!" With a smile, I end this adventure. STOP! What the hell is wrong with the wheels of my Dubsta?! Awesome pics! So you found out how to post them. I love seeing different point of views and those pics made my night. Again; great meet! Also, you can put up to 40 pictures per post so the double post on your part wasn't necessary (you'll know for next time). Wow, so weird to see myself in some of them. 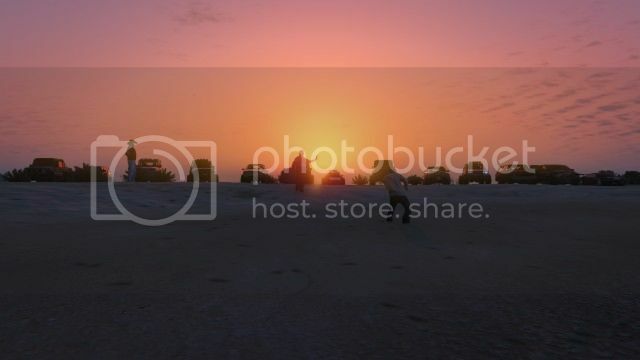 Like the ones with the Rancher on the other side of the river - that's where I got some pictures that I posted. It's just bizarre to see myself in pictures as I'm used to be on the other side of the camera. I don't think I'll ever get used to it. Thanks again to all who joined in and thanks for the feedback. Can take this now and make the next one better. I did get a bit frustrating when people would consitantly try and blast up a technical section when there were plenty of other routes a little less challenging to the left or right. It about finding your level based on skill and you truck spec there is no shame in taking an easier route and you get just as much of a buzz from the smaller hills next time help with the flow of the event which was not a good as the first an have two attempts and then look for another way. 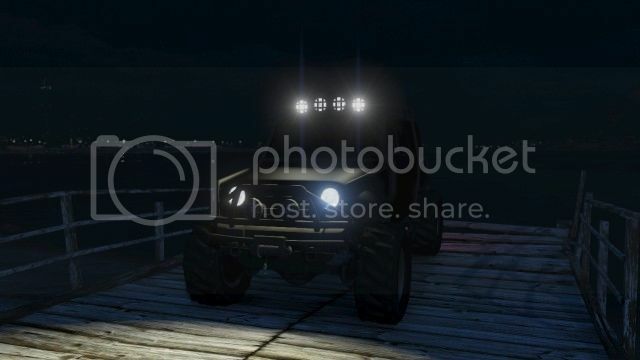 the pictures above are amazing well done to the winner of the categories who will get priority invites to the around Los Santos challenge. some pics of my own. shark man loved the water ! the buggy performed really well just made it up the route on the right ! wrong side of the river ?? hopefully i can take some of the feedback and put it into action. Hey guys, great meet last night. Had a blast! Looking forward to the next go around. Sorry I couldnt pull all the way till the end, was getting to be 1am (est) and work was growing ever closer lol got a few pictures of the meet myself that I'll share at the end. Was thinking of a few things to add to the list of inputs... Smaller helicopter? I noticed the chopper you were in was pretty bulky around the river area. 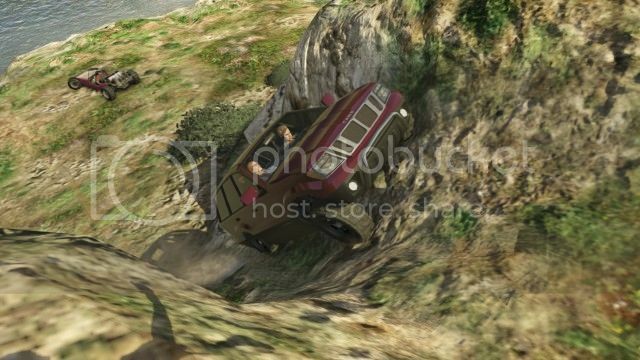 Also was thinking, most of the challenges were steep vertical cliffs, I saw a few medium incline longer length hill climb type deals along the way. The smaller valleys up the mountains have the rock and tree obstacles. We could do a run up the hill to see who can get the farthest without getting stuck or hung up. A technical obstacle course if you will. Special thanks to Steve dogg 51 for starting this. It's a nice change from your usual car meets. Here's a night shot with part of the group across the water. I'm thinking a CREW needs to be made for this! thanks for the shots and the input, im half way through do the next challenge, which should have a better flow and less chance of insurance call with diff routes for all. 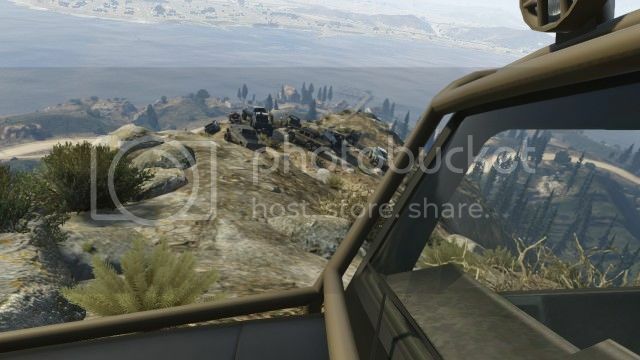 And will of course be doing to the "around los Santos challenge" as well. thanks for coming along and the mesa was sweet ! crew is already in motion .... anyone any good at doing emblems ?? I'm down to join y'all's next meet. Was cruisin around today and found a nice parking area if we want to stop and take pics midway through. 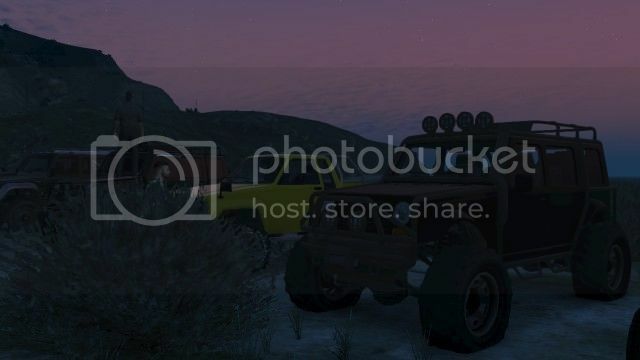 It's the rebel radio station located right next to the construction "racetrack" in sandy shores.